We are once again running our Christmas in September special! 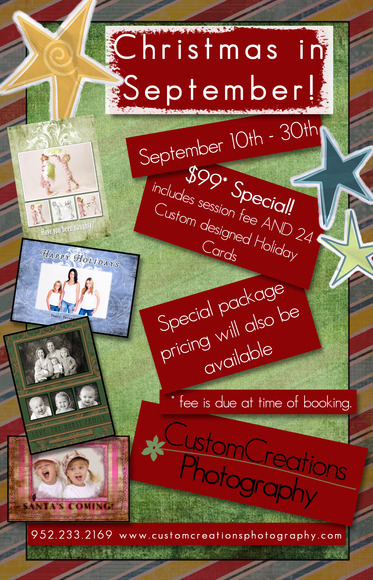 For only $99 you will receive your session and 24 custom-designed holiday cards! We will also have special package pricing just for our Christmas in September clients! It runs only September 10-30th and space is limited so you will want to book your session early! Call the studio 952.233.2169 to schedule your appointment! Be sure to mention the special when booking! (fee is due at time of booking).